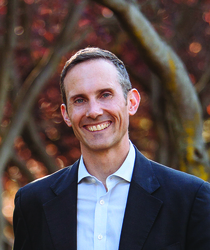 Andrew Leigh is the Shadow Assistant Treasurer and Federal Member for Fenner in the ACT. Prior to being elected in 2010, Andrew was a professor of economics at the Australian National University. He holds a PhD in public policy from Harvard, having graduated from the University of Sydney with first class honours in Law and Arts. Andrew is a Fellow of the Australian Academy of Social Sciences, and a past recipient of the 'Young Economist Award', a prize given every two years by the Economics Society of Australia to the best Australian economist under 40. His books include Disconnected (2010), Battlers and Billionaires (2013), The Economics of Just About Everything (2014) and The Luck of Politics (2015). Andrew is a keen marathon runner, and hosts a podcast titled "The Good Life", which is available on iTunes.